Philomena found Rainhart crouching outside his tent. Briga was lying on the grass beside him, belly up, while he edged his fingers along her abdomen. When he looked up and smiled, the early autumn sun felt warmer. "How is she?" Philomena asked. "Everything is proceeding well. I think she will give birth in less than a month." You&apos;ll be in Monsilys by then. Philomena felt a twinge. "Do you have a moment?" Rainhart nodded, stood, and dusted himself off. Briga whined and rolled onto her paws. Rainhart hesitated, and a wry expression crossed his face. "My lady disapproves." "I do apologise, Briga," said Philomena. "I will only steal him for a moment." She reached out and took his hand. "Is this all right?" he said, as his fingers curled around hers. "I&apos;m not to marry Tancred," said Philomena, tugging Rainhart behind her towards the edge of the camp. "Given the precarious state of affairs, Tancred has agreed to let the barons choose his spouse." She heard the crunch of grass as Rainhart took two quick steps and used their clasped handsto spin her and pull her into his arms. "Then let the whole camp see me do this," he said, and kissed her. His mouth covered hers, and his arms wrapped tight around her waist lifted her onto the tips of her toes. She squirmed loose enough that she could slip her hands over his shoulders, and with a guttural noise Rainhart pulled her close again, and fixed his hot mouth to hers. 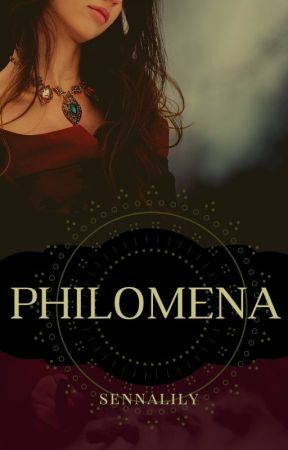 Philomena gave herself to the warmth that seemed to blossom out from her heart. She deserved this. He had to leave, and she had to stay, and she deserved this. "Come on," she said, pulling him into the forest, away from the eyes of nobles, soldiers and attendants. They sat down on the grass in a little clearing. "I have to tell you something," she said. "You&apos;re not promised to Tancred," said Rainhart. "Would you--would you consider giving your promise to me?" "To marry you?" said Philomena, quickly. "Why not? Once the idea was not so strange." Philomena gave half a wry smile. "I don&apos;t know that you are wise to be reminding me of our previous bethrothal right now," she said. Rainhart drew her close and leaned back, so she was lying half-on his lap, her legs curled beside his. "You&apos;re right," he said with a slow smile that tingled in her bones. "This one would be entirely different." Pressing her palm flat against his chest, Philomena could feel his heart beating through the velvet of his doublet. "Rainhart, you have to go to Monsilys." "I know. I don&apos;t mean we should marry right away. Or..." He went still, "will you return to Jovan?" Philomena closed her eyes and shook her head. "Tancred bids me stay in Deusetats." She could feel his disappointment. "Rainhart, Lord Cassius will be leaving within the week. You will be leaving with him." "What?" Rainhart shifted so quickly she had no chance to adapt. She tumbled into the grass as he stood up. "He&apos;s sending me away. Without so much as a thank you. Before the coronation?" Philomena nodded. "The situation is such that..."
Rainhart made one quick lap of the clearing. "Why are you the one telling me this? Is Tancred too busy?" 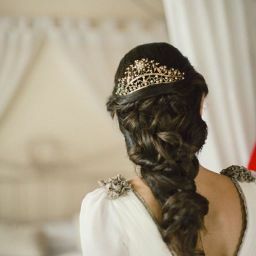 Turning from her, Rainhart strode away across the clearing, dragging one hand through his hair. "He sent you instead -- are you his lackey? You&apos;ve always been on his side." Drawing her knees to her chest, Philomena said, "Rainhart, don&apos;t say something you&apos;ll regret." His back to her, Rainhart went still. "You&apos;re right," he said in an altered voice. "I&apos;m sorry. I--of course, I will do as my king commands." Philomena climbed to her feet and crossed the clearing. She wrapped her hands around his chest and leaned her cheek against his broad back, listening to his breaths slow and return to normal. "I thought we&apos;d have more time together," she said. "Me too," said Rainhart, and she heard his deep sigh.